As of July 2018, you must now apply for a Twitter developer account and be approved before you can create any new apps. 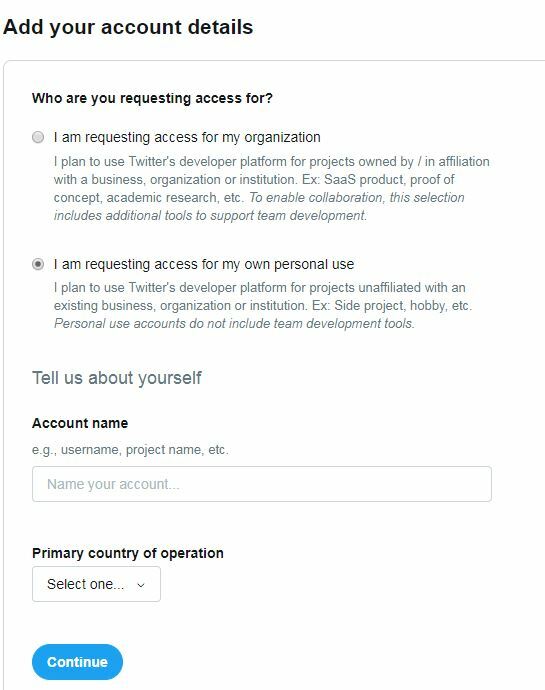 All new developers must apply for a developer account to access Twitter APIs. Once approved, you can begin to use Twitters standard APIs and new premium APIs. We found applying for personal access with our script is the most straightforward approach. We do have a 90% success rate although access is not guaranteed and it is down to the individual’s app purposes, so we are not responsible for application rejections. If your application fails, as of October 2018 there is no method to re-apply for access. Firstly your account must have a valid phone number and verify it prior to applying for developer access. We find the text below works because it is simple and clear, but do change it to meet your own requirements, and be sure it is easy to read and understand. This is for personal use. The app development is to assist with interacting with followers and users who have the same interest as myself. 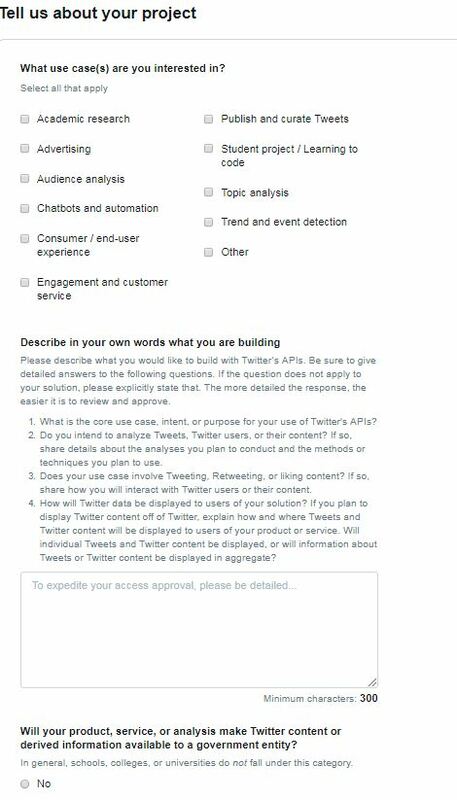 I will not be using it to analyse Tweets, Twitter users, or their content, or I will not share details of users. I will not be displaying Twitter content off twitter or share users info. I plan to interact and tweet information regarding my articles and information of interest to my followers. You may receive an email back to clarify, so make it clear at the outset what you plan to do with the access. If you need to clarify – reword it but keep it consistent. Good Luck we hope this Helps! I believe in synergy skills for creating quicker, more efficient experiences in technology and workflows I am a Photo Restoration artist & SEO consultant specialising in small business and start-ups.